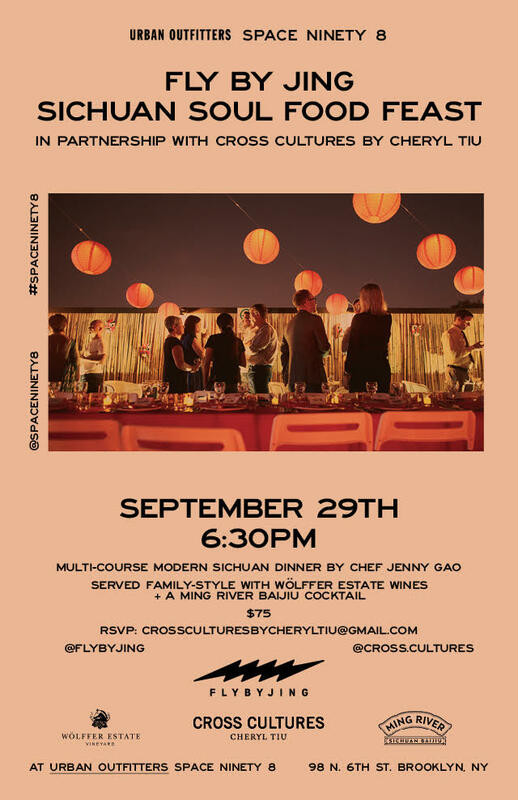 Ming River Sichuan Baijiu is extremely excited to be part of the first Cross Cultures event, a Sichuan Soul Food Feast with the amazing Fly By Jing, on September 29 (Saturday) at Urban Outfitters’ Space Ninety8 in Brooklyn. Originally planned as an exclusive dinner event, a lunch setting has been added due to the overwhelming number of bookings received. Jenny Gao is the woman behind Fly By Jing. Jenny was born in Chengdu and her passion for Chinese cuisine started at an early age. She is a writer, cook and restaurateur and her work has been featured in numerous publications and television shows including NYMag, Monocle, Wallpaper, Travel Channel, CNN, BBC and Vice. In 2014, Jenny launched Baoism, China’s first modern fast casual dining concept focused on transparent sourcing. 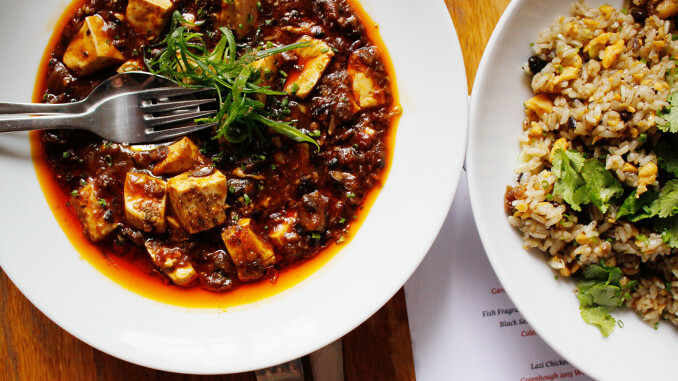 Fly By Jing brings to life the flavors of classic Sichuan soul food through a line of artisanal food products and pop up dining experiences around the world. It is a celebration of the vibrant street food culture of Sichuan, inspired by the bustling “fly restaurants” of Chengdu, old school eateries so good they attract diners like flies, our aim is to share flavors and experiences that capture this spirit. She is bringing her Sichuan Chili Crisp to the USA and has received incredibly favorable reviews. 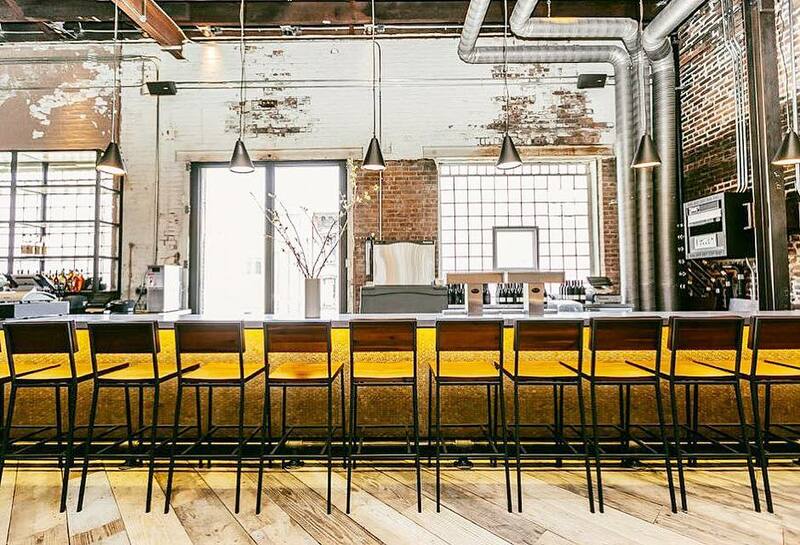 The dinner and lunch popup will be at the Williamsburg Urban Outfitters’ events concept space, Space Ninety8 . 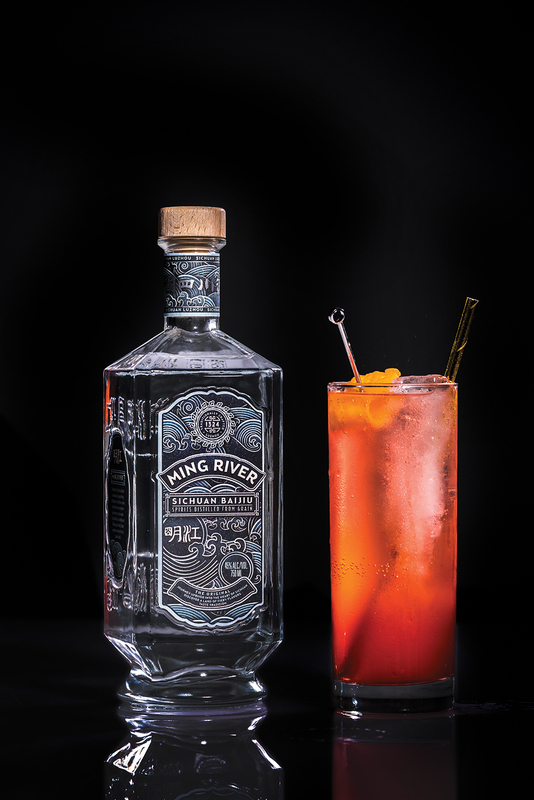 Ming River baijiu will be serving cocktails and a neat baijiu tasting pour to pair with Jenny’s specialty Sichuan cuisine. Throughout lunch/ dinner, wines from Wolffer Estate Vineyard, a sustainable family-owned winery at The Hamptons in Long Island will also be served. Cross Cultures is an events platform founded by journalist and media personality Cheryl Tiu that promotes the exchange of cultures through food. Through the sharing of culinary experiences and talents between chefs and cooks, between countries and continents, Cross Cultures aims to remove misconceptions and boundaries, in order to build a more global community. 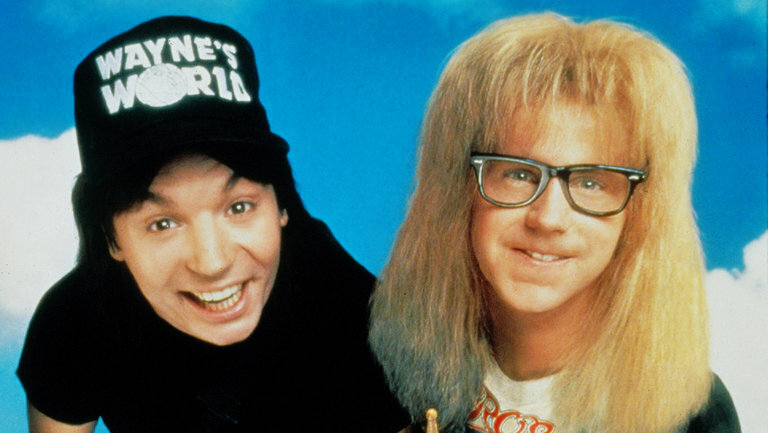 They work with everyone from World’s 50 Best and Michelin-starred restaurants to private kitchens and food movements. 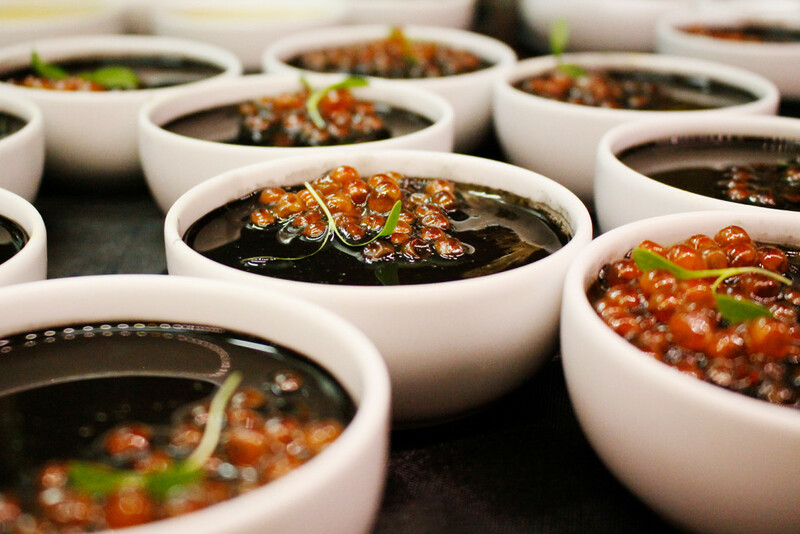 Some of these include Gaggan (Thailand), Central (Peru), Narisawa (Japan), Jungsik (USA/ Korea) and Quintonil (Mexico).They have had events in the Philippines, Singapore, Hong Kong and Miami, USA.